It’s happened to me several times now that an application I run on my DS 1817+ has problems with websockets. This is because I use the reverse proxy built into DSM, which does not support websockets by default. 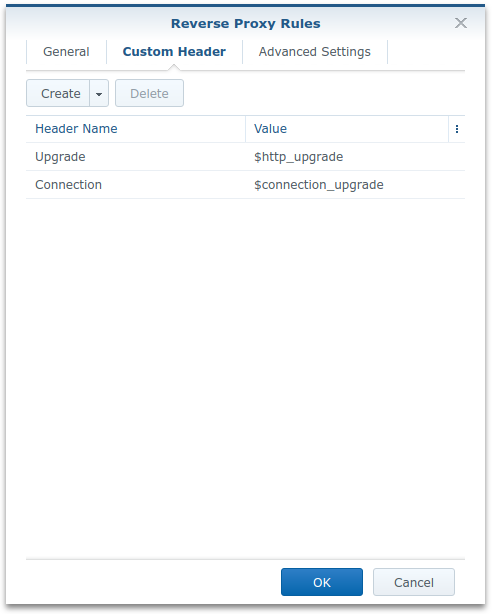 For this reason, here’s a little tutorial on how to enable Websockets for Synology DSM reverse proxy. Repeat these steps for every rule where you want to enable Websockets. In my local setup, I need this for GitLab Mattermost (running within a docker container) and DSM Virtual Machine Manager Console.